Standby Home Generators for Naperville Area Homes – Call Penco Electric Today! Do you ever think about how long your family could live comfortably without electricity? With the increasing length and severity of storms in the Naperville area, it’s no wonder why we lose power every time lightning strikes or when there is an ice storm. Your family can keep safe and comfortable in your home during a power outage if you have a standby generator. A generator is becoming less of a luxury and more of a necessity with each incidence of electricity loss. Not only does your food spoil in your refrigerator and freezer every time the power goes out, but your sump pump is inoperable, your security system won’t alert you and your furnace and air conditioning condenser become unusable. So you either roast or freeze depending on the season. For many, waiting in the dark for the power to come back on (in a couple of hours, or a day, or a week) is not an option. If you have someone that requires respiratory equipment or if you work from home, the loss of power impacts your well being or your livelihood. Children who are afraid of the dark become even more anxious when the lights go out as the novelty of using flashlights wears off quickly. It is no secret that our electrical grid in Northern Illinois is grossly overtaxed and vulnerable to a wide variety of mishaps because our power comes from overhead wires. Storms, accidents, floods and the like all contribute to a risk of losing power. Our area is well known for ice storms that lead to fallen trees that can impact the delivery of electricity to your home. If you have a home backup generator, you needn’t worry anymore about power loss. A generator that is wired into your home’s electrical panel and gets its power from natural gas provides you with an uninterruptible supply of electricity no matter what the weather. You don’t even need to be home to turn it on; it senses when power is cut off and immediately starts up to provide electricity to selected appliances or your whole house. When the utility company restores power, your generator automatically shuts off and returns to a resting state until it is needed again. 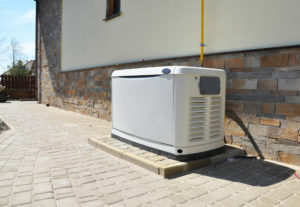 OnGuard Generators is a premier installer of home generators from major name brand manufacturers in the Naperville area. 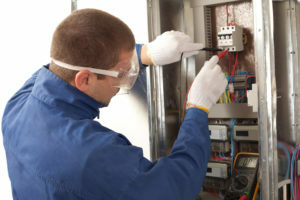 We can also service all makes and models of generators and can provide regularly scheduled maintenance to keep your generator at-the-ready for the next time power goes out. Give us a call for a complimentary needs- assessment and we will recommend the right generator for your home size and your standby power requirements. If you are in Naperville or nearby Aurora, or anywhere in Chicagoland, OnGuard Generators is close by. Give us a call for a complimentary assessment of your home’s backup power requirements to keep your family safe and comfortable no matter how often your power goes out. We sell and service all major name brand generators and offer a maintenance program for existing generators, too. Why wait in the dark? Call us today at (847) 423-6662 for friendly, expert assistance.